Power supply for larger accent lighting systems. Use chart below to figure out power consumption of your current lighting system. 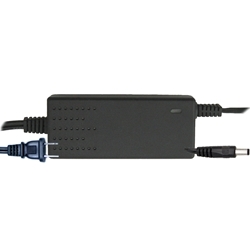 Compatible with all Cyron controllers with DC jack input. CAUTION: DO NOT EXCEED CONTROLLER POWER HANDLING. 5mm x 2.1mm DC jack, Center positive. 5" x 2" x 1.25"